ordinary people to become the confident musicians they always wanted to be! ​Click the blue button below to get started! Come for a free assessment lesson at our studio at: 4084 John R Rd. Troy, MI. ​The J-RO School of Music is located on John R Rd. between Long Lake and Wattles near St. Anastasia and Athens High School. New Specialty Classes: Recording, Songwriting, Music Theory, Music History, Vocal Ensemble, Specialty Ensemble, Music- Contact Us! We are so thankful for our students who have helped us earn the honor as a top music school in Troy and Metro-Detroit! Become a confident guitarist! Learn to play your favorite songs on acoustic guitar, electric guitar, or ukulele with ease. You will learn fun techniques such as fingerpicking, improvisation, strumming, chords, and soloing that will make you sound like a real guitar hero! The J-RO School of Music Can Help You! Do you have a child that wants to play music and are not quite sure how to help them start? Are you an adult who wants to sing or play music but are afraid that it is too late for you? Are you just starting out and don't know where to begin? Are you frustrated with learning your instrument? If you answered "yes" to any of these questions read on...We have a solution for you. Hi, my name is Josh Ross, and at the J-RO School of Music, I specialize in making YOUR musical dreams a reality. I have students ranging from 3 to age 85, and I believe that if you are willing to learn, then NOW is the best time to start making your musical dreams come true. For the past decade, I have helped my students become excellent musicians, reach their musical goals, and have fun along the way. Come for a free assessment lesson at our new studio at 4084 John R Rd Troy, MI. The J-RO School of Music is located on John R Rd across from Athens High School. Click the button below to receive your FREE Assessment Lesson and start becoming the confident musician you always wanted to be! The J-RO School of Music serves students from Troy, Rochester, Birmingham, Sterling Heights, Royal Oak, Clawson, Warren, Bloomfield Hills, Beverly Hills, Ferndale, Flint, Windsor, and throughout Oakland County. 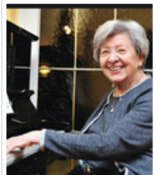 "I have been taking piano lessons for two years. I like that I can play for family and friends. It's fun to learn new songs, practice them to make them sound better, and to add your own twist." ​"You progress a lot faster in lessons than on your own. I have learned a lot of piano songs in just eight months and have found all types of songs and styles to learn." ​"Singing lessons have helped me improve my voice, increase my confidence, and get over my stage fright." ​"I have been taking singing lessons for two and a half years and have learned a lot of tips and tricks to improve my voice and express myself. I also made friends with the other students and enjoy watching them perform." 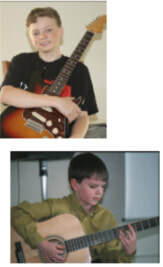 ​"I have always wanted to learn guitar since I was a little boy, and now my dream is coming true. I enjoy learning the chords, fingerpicking, strumming, rhythm, and learning new songs step by step." ​"I enjoy playing guitar and I like the challenge of learning new chords and songs. I am also learning to play my favorite songs." ​"I enjoy music, and learning guitar relaxes me." ​"I like learning new songs, learning chords, and new techniques. I love playing my guitar with other people and at home." 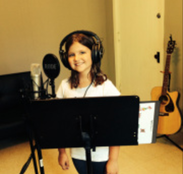 "Our daughter has taken lessons with Josh for the past year and it's been a great experience. He is flexible with both your learning style and schedule. In the past we have had difficulty finding a good teacher, but we would recommend Josh to anyone, and he's inspired our daughter. 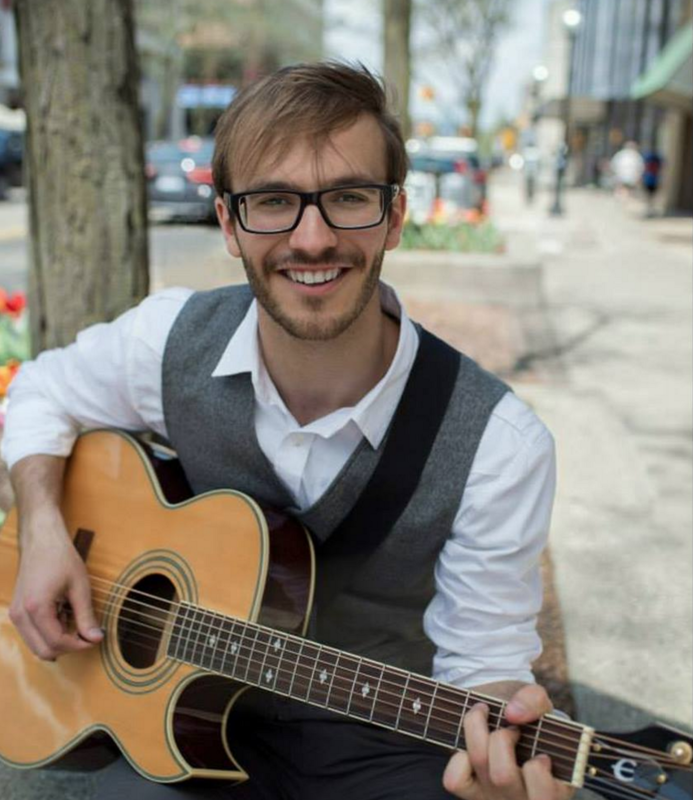 "I recently started taking guitar lessons with Josh and it's been a great experience. He is flexible with both your learning style and schedule. In the past I have had difficulty finding a good teacher, but I would recommend Josh to anyone, and he's inspired me to start piano as well. Thanks!" J-RO School of Music Named "Best of 2016"
The J-RO School of Music was recognized as one of the "Best of 2016" music schools for the second year in a row based on positive reviews and feedback from our students. Though we are humbled to win this award, above all, we are committed to empowering our students to be the best people and musicians they can be while having fun. Many students start off with guitar or piano, and over time they develop an interest in learning other instruments (including voice, ukulele, bass, drums, etc.). Many of my students start off with guitar or voice, and over time they develop an interest in learning other instruments (including piano, ukulele, bass, drums, etc.). "If you ever felt intimidated by the guitar, Josh will provide you with a solid introduction to the instrument. After the first lesson, you will already be able to play! You will leave each day with a smile on your face." ​Josh is patient and thorough...great for a beginner like me. I am coming twice a week and am so excited to come to lessons. I only wish I had time to come more often! Hopefully, I will. Find your unique voice so you can rock any performance! Josh has a very warm, inviting and professional personality. I was scared to death of taking singing lessons but I decided to face my fears and just do it. Josh made the environment very comfortable. He was very patient, not judgmental, very informative. He helped me establish goals with my lessons and I could not be more excited to see where this journey takes me. Thanks again Josh! Love Josh! He is great! Works very well with my son who has never had any lessons prior. He has also been a great male role model for Tyler, and has inspired him, not only to become a better singer, but also to become a better person. Great experience! I simply love learning piano! I have always wanted to learn, and finally got the opportunity to later in life. I have already started playing several songs from memory, which is wonderful! "My sons really enjoy lessons, and are learning much quicker than I imagined! They only started 4 months ago and are already learning to play Fur Elise and other intricate songs"
"Just from 1 week at Josh's summer music program my daughter is enjoying her piano playing again and feels she can play a song she was actually working on before camp with her piano teacher better now after just 1 week than all the time her teacher spent with her on it. Suffice to say, Josh is her instructor now!" 1. These lessons are not for everyone. Here are three questions to determine if this is for you. A. Do you want to play/sing pop, rock, folk, worship, classical or musical theatre music? B. Are you willing to practice and do what it takes to learn music while having fun? C. Are you willing to trust an experienced instructor who has trained hundreds of students? ***If you answered yes to all of these questions, then this may be the place for you. 2. I’m exclusive. I have an incredibly high success rate because I only work with students that are truly excited about music. 3. Cancellation policy: 24 hour notice is required to avoid paying for a same day cancellation. 4. As a student, you will receive customized instruction tailored to your needs and desires that will save you years of frustration and thousands of dollars in the long run. 9. Do I Need A Strap to Play Guitar? 25. How Many Guitars Do You Actually Need? 26. Konnakkol: Is This The Best Technique Ever Invented For Counting Rhythms? 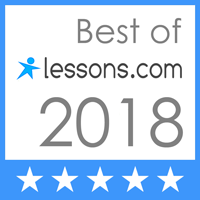 "The best music instruction in Metro-Detroit"